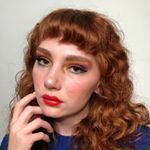 I’m a 20 year old photographer, self portrait artist, model, creative director, stylist, and makeup artist who is based in Minneapolis but travels to NYC and LA often. 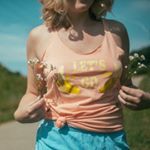 I love capturing myself and others in technicolor, and am inspired by 70s-90’s style, primary colors, and film. I am represented by Adolescent Content. Demographic data for @reneenicole's audience is available for free to influence.co users.